In today’s world, much of our society happens online. It’s where people socialize, share ideas, and debate. However, it also isn’t without potential dangers. Extremist groups recruit online. Cyberspace has been added to land, air, and sea as the fourth arena of warfare. Just as we teach students how to be safe and healthy and to be good citizens in the real world, we now need to help them develop online life skills. There is so much technology developing so fast that it can seem daunting to keep up. As soon as we’ve figured out one platform students love, they’re on to the next. The revelations about social media sites, privacy, security, and data collection come at such a dizzying pace that it is hard for most adults to put on their own digital oxygen masks, much less help the child next to them. Fortunately, the technology itself is mostly irrelevant for providing students with the foundation they need to develop digital resilience and be good digital citizens. And it isn’t that different from what we’ve been teaching them all along for succeeding in life. Digital resilience is the technical, emotional, and critical thinking skills students (and educators) need to enjoy the benefits of the internet while still spotting the dangers and managing the risks. Let’s start by taking a look at the potential risks students may encounter online. They could stumble upon or have risky content shared by others on their social media feeds. This content could include violent or pornographic imagery or pro-suicide or pro-anorexia. They are open to grooming by sexual predators, recruitment by extremist groups, stalking, and bullying. Like adults, they can be subject to identity theft, phishing, and accidentally downloading malicious code. Kids are so adept at snapping, tweeting, posting, commenting, and hashtagging that it may seem they have the technical skills to manage their safety online. But they may not know how, or think to block an online harasser. They may not be checking their privacy or location settings. Kids face the same emotional challenges online that they face on the playground or in the cafeteria. And they tend to have a stronger reaction to online harassment than real life incidents. They also tend to feel more ashamed of and hide online harassment. If you impart just one message to your students about their online lives, encourage them to seek support and help from an adult if they have any online interaction that makes them uncomfortable. In this age of doctored photos, fake videos, memes, misinformation, disinformation, and online trolls, each of us needs to sharpen our critical thinking skills on online content. This is really just a fresh source for examples on fact vs. opinion, point of view, and evaluating the source of information. One challenge with using actual content your students have encountered online is it may contain sensitive material. It would be wise to address this with your administration. The other side of the online coin is digital citizenship. As we teach students about being a good citizen in their real-life communities, it is time to extend those lessons and discussions to include what a good citizen does online. Just like in real life, good digital citizens don’t bully. They are polite. They think about how their words make the other person feel. People of all ages tend to quickly sink to rude and bullying exchanges online that they wouldn’t in person. Let’s teach our students to think about the person behind that profile picture. Good digital citizens are leaders online. They vet information before they share it. They avoid sharing junk information like memes. They lead by example in how they engage with others and refuse to be baited into name-calling. Students also need to think about their permanent online record and how the way they engage online now could impact a future job or other opportunities. There is a saying “The internet never forgets.” Even if you delete something, you never know who downloaded it or took a screenshot. With internet archive tools like the Way Back Machine, everything that has ever been posted online is archived and retrievable. When thinking about how to help your students develop their digital resilience and digital citizenship skills, look to the lessons you are already teaching on emotional resilience, critical thinking, and personal safety. Incorporate examples and discussion of what these things look like online. DigCitUtah provides lesson plans on digital citizenship for grades K -12. CommonSense.org offers a K -12 digital citizenship curriculum. This is a worldwide concern. Many European countries have excellent teacher resources. These Vodafone digital skills lessons can be easily adapted to an American classroom. Video – Digital Resilience Toolkit: What is digital resilience? This is a guest blog by Lydia Snider. Snider served as an educator for nearly 20 years, primarily as a K-5 resource specialist. After leaving teaching, she spent about a decade in the California tech scene and working as a consultant helping companies understand how to use social media for business. The use of disparate software products can be a way of life for many K-12 schools and districts. 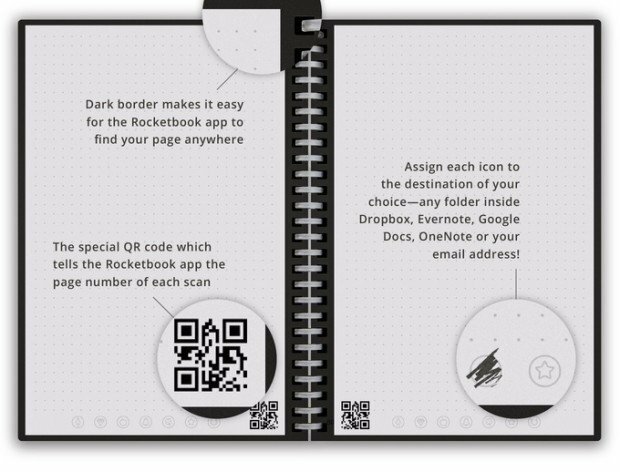 Teachers use anywhere from five to 10 software products – or more – from a gradebook and LMS to products for special education and assessment. 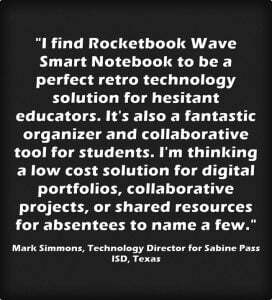 Principals and administrators likely use one product to maintain their overall student data information and others still for cafeteria management, transportation, and automated calling. With all of these separate products made by different companies, education technology interoperability — how well software products communicate, or speak, with each other — can be a lost cause. Users pay the price through wasted time entering or recovering passwords, duplication of data from a lack of communication between products, limited productivity, and weakened educational opportunities for students. Saving money by reducing operational costs. Systems that work together reduce the cost of building and supporting a diverse infrastructure. Saving time and preventing costly errors. Eliminating multiple sign-ons, lost or forgotten passwords, and duplication of data entry improves efficiency and leads to more accurate data. Enabling “best-of-class” solutions. When systems integrate seamlessly, schools and districts can choose the right solutions for their specific needs to enhance student outcomes. Maximizing existing investments. Investing in tools that can integrate enables you to leverage the tools you have already purchased. Improving student data communication. Schools and teachers can better exchange student information accurately. Products should be Schools Interoperability Framework (SIF®) compliant and SIF® certified; these designations ensure that applications can interact and share data seamlessly in real time, work cross-platform over modern technologies, allow automated reporting, offer single sign-on, and more. Make sure your student data is in a system that provides for flexibility and scalability. It should feature a standardized method for data exchange to enable timely access to important information across multiple systems. Products should offer their own REST (REpresentational State Transfer) Application Programming Interface (API) so that custom plug-ins created by licensed partners can be installed, and are controlled by, system administrators. While using disparate tools may be commonplace in many organizations, K-12 schools and districts that focus on purchasing education tools that are interoperable with other software they are already using are future-proofing their technology. In the process, they can save staff money and time, improve efficiencies, and bolster capabilities for helping students succeed. Find out how to eliminate traditional technology silos and empower teachers to manage the entire instructional process more efficiently with the award-winning PowerSchool Unified Classroom™. Uncover the hidden costs of disparate K-12 IT systems by downloading the white paper. First things first. What should you do first as a technology leader? If you have accepted the responsibility to become a leader, you won’t lack for advice about leadership. Still, wouldn’t it be helpful to have a list of tried-and-true tips to get you off to a great start? If the answer is “yes,” then remember that the best tip is that relationship building is THE most important tip of all. We’re human beings and shaking hands, listening to the people you serve, and making connections is critical to success. Here are a few tips from technology directors and Chief Technology Officers, as well as those gleaned from my own experience in the role. In the first few days of your leadership, contact all Central Office directors or coordinators. Make the time to meet them at their location to find out more about their goals and projects. Then hone in on what their needs are for better technology support, what their vision is, and what they would like to see technology do in the future. Do the same with campus principals as you did with department directors. Walk through their building with a critical (but not negative) eye. Assess both technology infrastructure and instructional usage of technology. This will give you a sense of the technology that’s out there, what their needs are, and what they would like to see happen in the future. Strive to gain insight into what they perceive as critical. Then, begin the work of doing what you can to assist them. Document the work the Technology Department team does, cataloging team strengths and areas of growth. 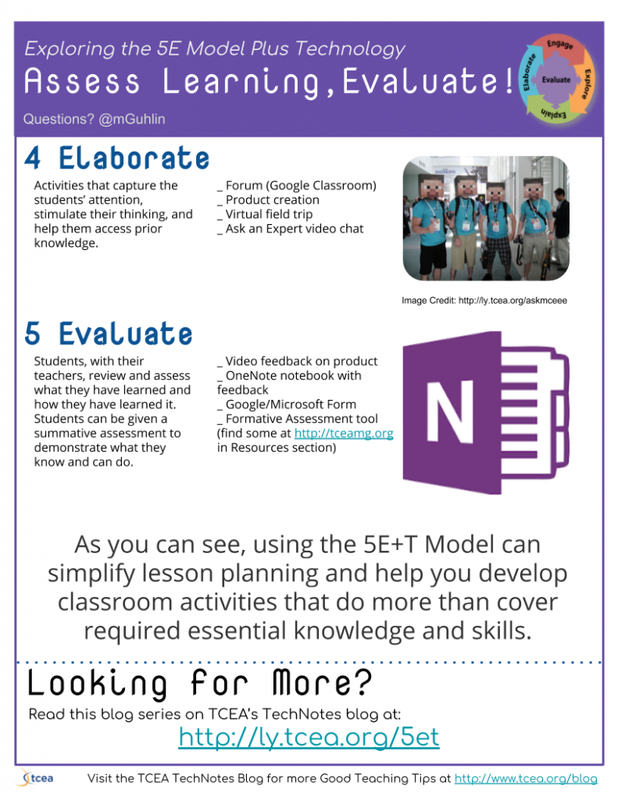 Setup a OneNote notebook or a Google Site to house all your ideas, questions, and observations. This will serve as a public record of what you’re learning. A combined list of needs and wants can help you find growth possibilities. The benefits of this include a first step towards building a cohesive vision that captures the hopes and dreams of the people a CTO serves. Connect with your team. It will be important to ask each what’s going on and what their responsibilities are; then ask them to develop documentation for their work. Keep Patrick Lencioni’s concept of “tyranny of competence” in mind. This is where only one person knows what they are doing and no one else. This puts that one person in a position that can cripple the district if they have to, or choose to, leave. Consider their needs and write down what they are actually responsible for. Then compare it to their job descriptions. Revise those if you need to and make sure you advocate on behalf of the staff as needed. Make a note of what could be done to improve the situation. Set up weekly meetings between both sides of the Technology Department house. This could include the technical and instructional, or just getting technicians to work with the network engineer or database administrators. A house divided against itself cannot stand. The agenda for these meetings will flow from questions that arise from the meetings the CTO has had with department directors, principals, emails, and other contacts with customers. The focus of these meetings has to be to identify what can be accomplished as a team and how each can help the other. If you have noticed that these tips are about connecting, collaborating, and communicating, then you know how important your role is. Your job is about working with people, bringing people together and giving voice to their needs, wants, and their vision for the future. What a powerful role of service to play. Change can be difficult. But it’s almost always necessary. So how can we activate learning innovators in schools? In this blog entry, we will explore key technologies and action steps. In a professional learning network (PLN), the more nodes (a.k.a. people) in your network, the richer the flow of ideas. Moving from information to innovative practice requires effort. Think of a PLN as a journey of learning and reflection. Professional Learning Communities (PLCs) often involve groups. PLCs also describe a team’s shared journey of learning and reflection. Unlike a PLN, the PLC focuses on team efforts for achieving desired student outcomes. Which works best in your situation? Allow me to share some action steps I have learned with past initiatives such as Pathways to Advance Virtual Education (PAVE), EC3 iPads in the Classroom , and the Technology Integration Lead Teacher (TILT) Program in several settings. Take these action steps to get a similar effort started in your school or district. Organize learning around content that fosters innovation. That may be why one Texas district brought in George Couros, author of The Innovator’s Mindset, to lead #NISDTechCamp district-wide conversations (see my notes and materials). Provide incentives that generate excitement among participants. Providing a stipend or technology equipment (e.g. iPad, laptop, Chromebook) that facilitates access is a common practice. When in a technology rich environment, offer options for various incentives. Remember incentives can also include badges for professional learning. Use a blended learning approach to meetings, including face to face and online. Be sure to bring the group together, face to face, at the beginning, middle, and end of the initiative. Social media has replaced cumbersome learning management systems (LMSs). Secure support from school/district leadership. Invite leadership to align strategic goals to your initiative and vice versa. Support participants in creating an online portfolio of work with video and audio reflections that results in certification. Let empowered individuals give back by helping others on campus. Celebrate, such as with a dinner or graduation ceremony. Celebrate the efforts participants have put into learning. This can assist them in assuming a new, influential role. “Reach for the edges,” says Ryan O’Donnel via a Voxerchat I’m participating in (connect with him via the ConnectedTL Tribe Voxer chat) as he shares his vision in this Innovation Cohort Application. Notice that there are several components, such as required meetings, designing an innovation project, site-based support, financial reimbursement for time, and an application process. Many similar efforts exist, such as the Google Certified Innovator program, Microsoft Innovative Educator (MIE), Discovery Education Network (DEN) Stars program, as well as many more (e.g. Seesaw Ambassador). Please share in the comments what your thoughts are about these kinds of efforts. If you have participated in these efforts, how did they impact your work? Many districts across the country are beginning to write or adapt existing educational materials in order to ensure the resources they place in front of their students closely align with their learning objectives. The #GoOpen initiative by the U.S. Department of Education is designed to help facilitate this movement. #GoOpen is the slogan for the DOE’s campaign that encourages states, school districts, and educators to use openly-licensed educational materials to transform teaching and learning. These materials are also known as OER (Open Educational Resources). are teaching, learning, and research resources that reside in the public domain or have been released under a license that permits their free use, reuse, modification, and sharing with others. Not all OER materials are digital, but the #GoOpen movement is primarily focusing on those that are. 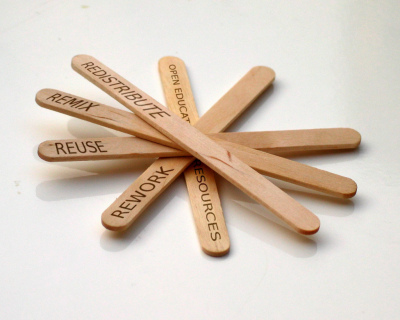 It’s important to note the difference between the terms “free” and “open.” A resource may be free, but you may not have the owner’s permission to reuse or modify the resource. 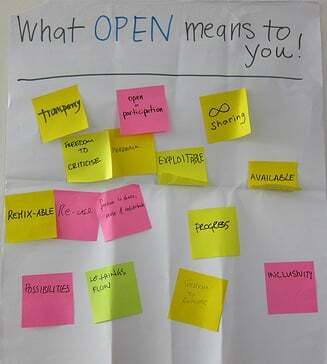 To qualify as open, it must be free and provide users permission to modify and reuse the materials. Why would a district want to create or modify instructional materials? Some districts claim that openly-licensed educational resources can drive equity by providing all students access to high-quality learning materials, no matter the size of the district’s budget. They also allow districts to update the learning materials whenever necessary either to support new state standards or to update the content. Also, districts are seeing that the process of developing the materials energizes their teachers as they adapt and customize the learning materials to the needs of the students in their district. In addition to all of these great reasons, there also can be significant cost savings, which can translate into more funds for high-speed technical infrastructure and digital devices that can be used to access the new materials. How does a district get started? In order to support districts who are interested in developing some openly licensed educational resources, the #GoOpen campaign has developed a network of states and districts to serve as models and provide support and assistance. A great place to start is by downloading the GoOpen District Launch Packet. 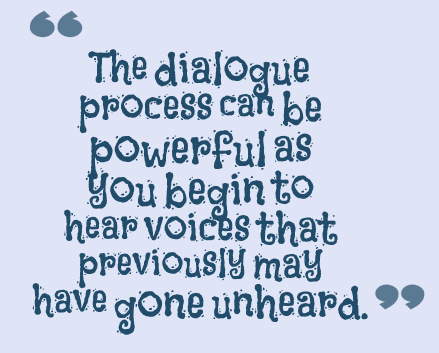 It has step-by-step instructions on how to approach the process. It tells you who should be involved, what types of questions you need to consider, and where to begin. It also might be helpful to look at what some other districts are doing. The #GoOpen site has a list of districts grouped by their expertise and willingness to mentor other districts. They divide the districts up into two lists: #GoOpen Launch Districts and #GoOpen Ambassador Districts. Mentor #GoOpen Launch Districts as they design and implement their strategy for transitioning to openly-licensed educational resources. Share the openly-licensed materials they’ve created. 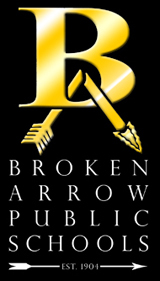 Broken Arrow Public Schools in Oklahoma is a #GoOpen Ambassador district. They have created several courses which are organized in Google Docs. You can access their materials and add them to your Google Drive. Remember, the hallmark of the term open is that they must be willing to share the materials and allow others to adapt and modify them. Mark Officer, Executive Director of Secondary Administration at Broken Arrow Public Schools, attributes their success to the dedication of the instructional staff who have led the process throughout. He noted that the teaching staff has been empowered by the curation process and that the students have positively responded to the change. So far, there have been around 100 teachers involved in the curation process, and he expects that number to grow to more than 200 by the end of this year. He feels that what these teachers have created is a better product than what they could purchase. Their initiative started at the secondary level and, because of their success, the elementary instructional staff is beginning to curate open educational resources as well. Teacher-created materials are not new. Teachers have created their own content since they were etching their lessons on the cave wall. How this movement differs is that, with the use of technology, teachers can share their work with a much larger audience and other educators can take their work and adapt it easily to suit their particular academic and instructional goals. If you are interested in learning more, check out the resources below. If your school or district is already creating educational resources and you are willing to let others modify and reuse them, consider joining the #GoOpen movement by contacting the Department of Education at [email protected]. Amazon Inspire (in Beta) Read Miguel Guhlin’s blog post on Amazon Inspire. 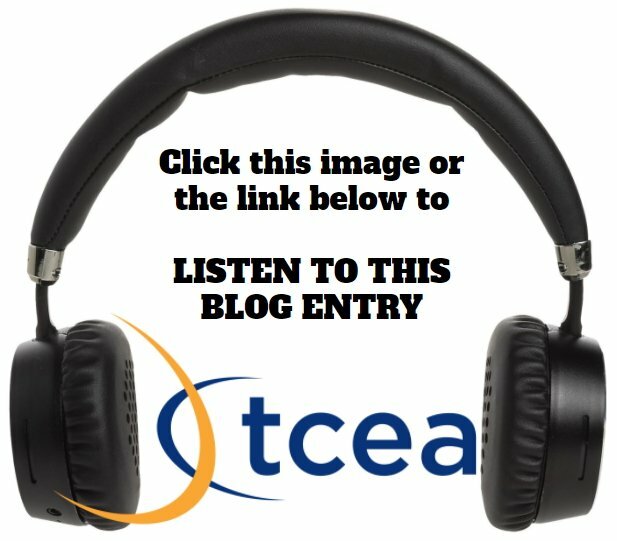 Bruce Ellis wrote a great blog post on OER which includes additional resources.